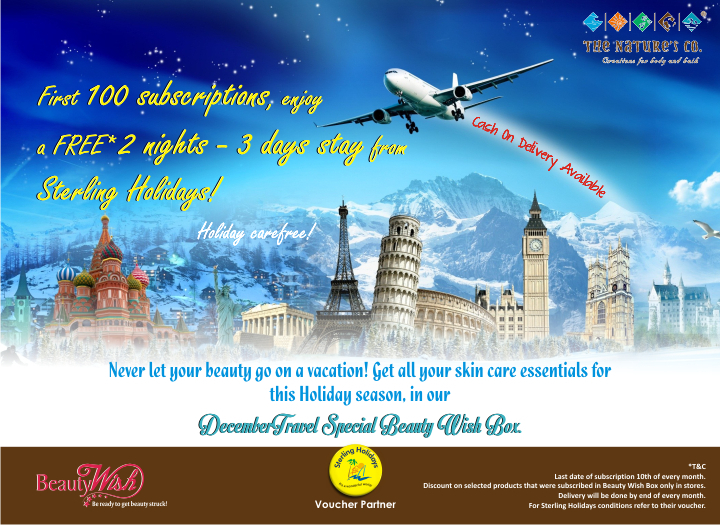 This ideal holiday season, along with getting the precious TNC customers beauty-stuck, we don’t miss to get you awestruck, by offering the first 100 subscribers a two nights – three days complimentary stay, sponsored by Sterling Holidays. 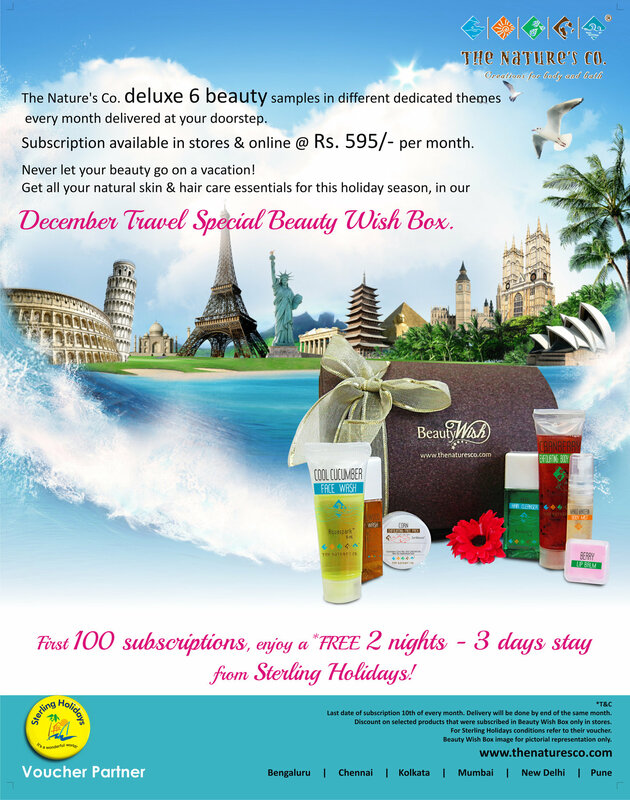 You can subscribe for this online here or even submit subscription at any of The Nature’s Co. stores. « Style your hair differently this winter!